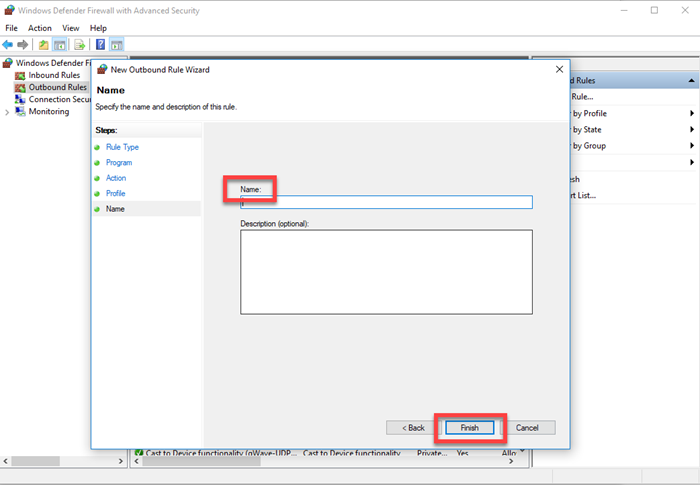 If you are looking for how to block a program from accessing the Internet in your Windows Firewall, keep on reading this tutorial and we will guide you through this step by step guide. 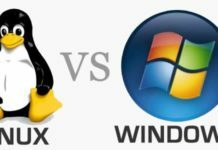 You might have installed many programs on your Windows PC that you just have to use offline and you don’t need them to connect to the internet on regular basis. You might have heard about data breaches and cyber attacks that have affected many internet users around the world. With the increase in the cyber attacks, some malicious software are programmed to capture your personal data from your PC and send it out to the internet. Have you ever been a victim of such programs? There are many programs that are available online, need purchases, display a lot of ads or need to be updated to the premium version when connected to the internet. How can I block access to the Internet? 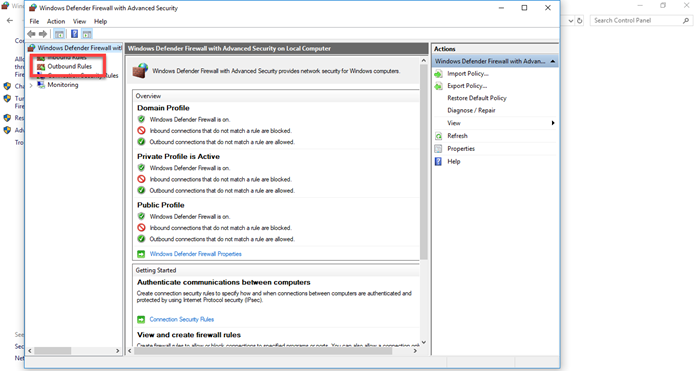 Don’t worry we have a solution for you, Windows Firewall has made it easy for you to block such programs from connecting to the internet. 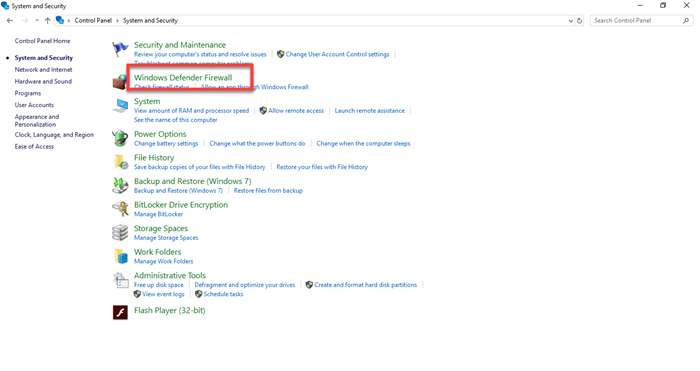 How do I block a program in my firewall? 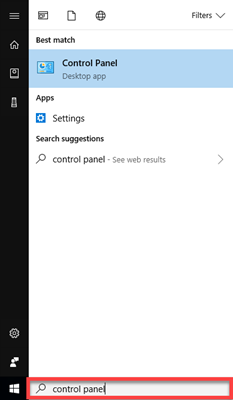 Step 1: Navigate to the start menu and search for the Control Panel. Step 2: Click on the “Control Panel” as soon as it appears in the search results. 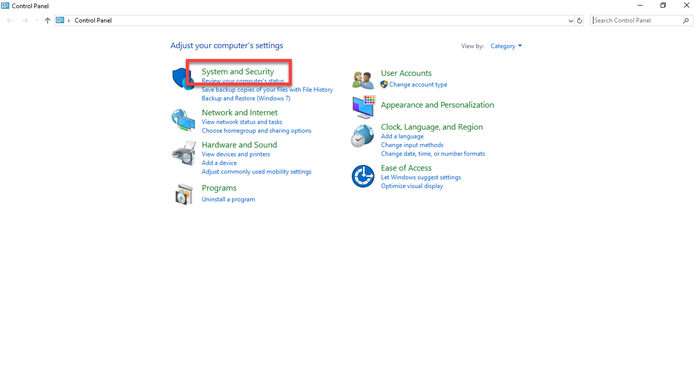 Step 3: Select “System and Security” option that is available on the top left. 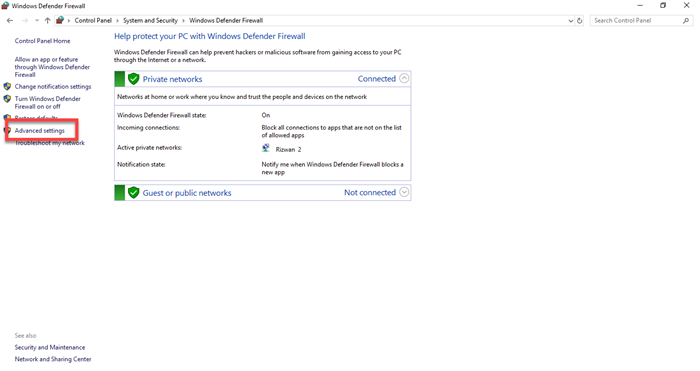 Step 4: Now navigate and click on “Windows Defender Firewall”. 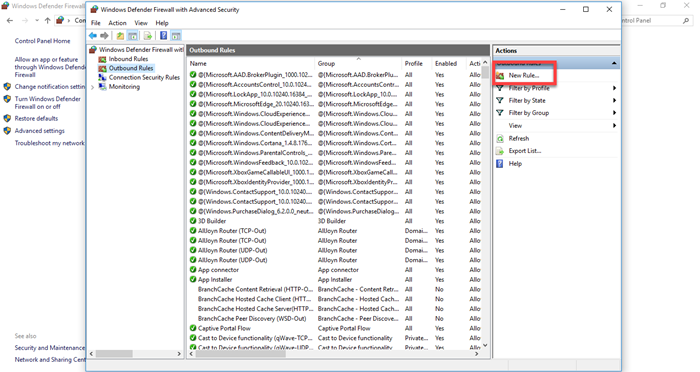 Step 5: Select “Advanced settings” option in the left pane. 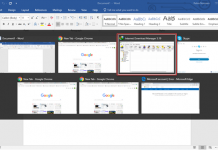 Step 6: Then navigate to and click “Outbound Rules” that you will find in the left pane. 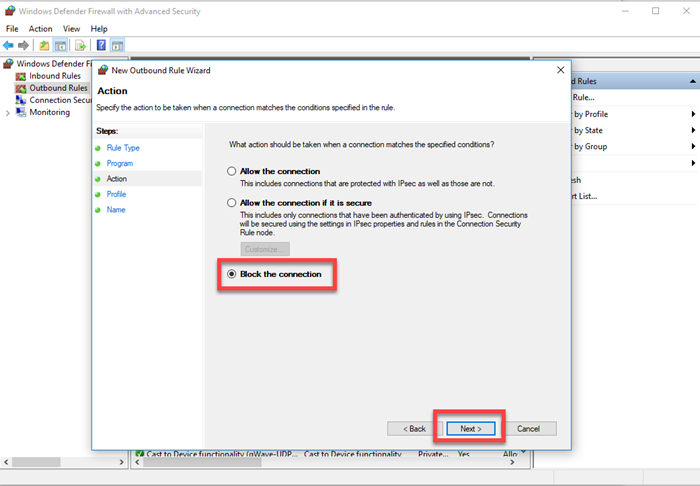 Step 7: After selecting outbound rules, you will click “New rule” that appears in the right pane and a new window “New Outbound Rule Wizard” will open. Step 8: From the wizard select “Program” and click “Next”. 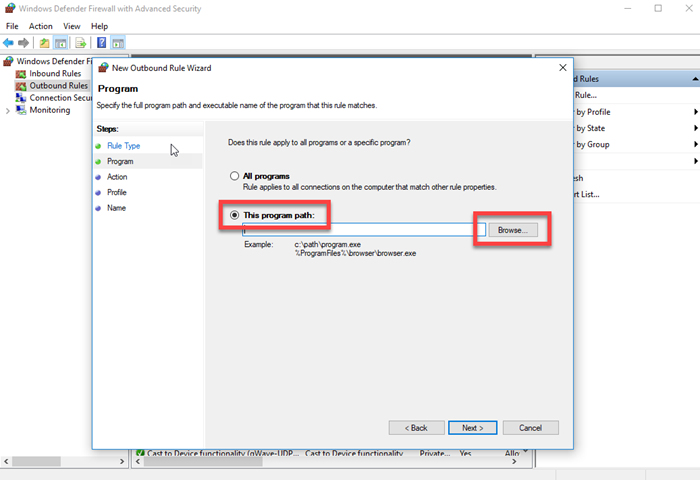 Step 9: In the next step you have to choose the path for the program that you want to block. Mostly the application path is “C:\Program Files\app.exe” or “C:\Program Files(x86)\app.exe”. ‘app’ is the name of the program you want to block access to the Internet ” Select This program path:” Click “Browse” and select the desired path where the program is installed on the disk and click “Next”. 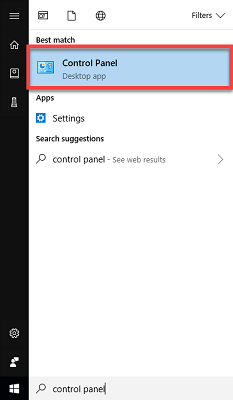 Step 10: In the next window select “Block the connection” and click “Next”. 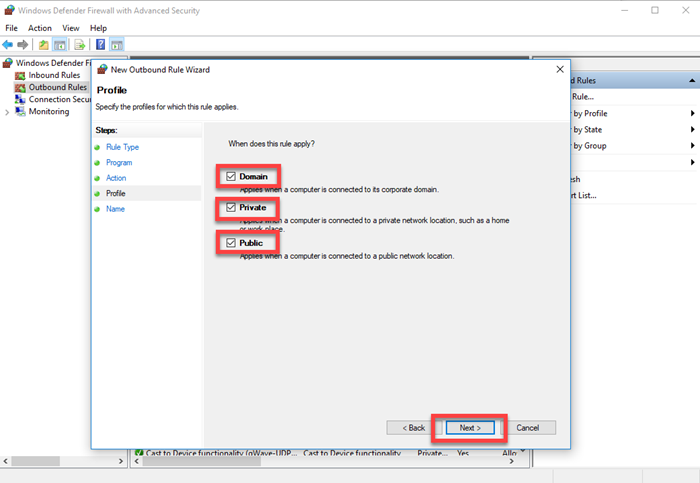 Step 11: Now you will be asked about the scenario “When does the rule apply?” Check all the checkboxes i.e “Domain”, “Private” and “Public” and click “Next”. 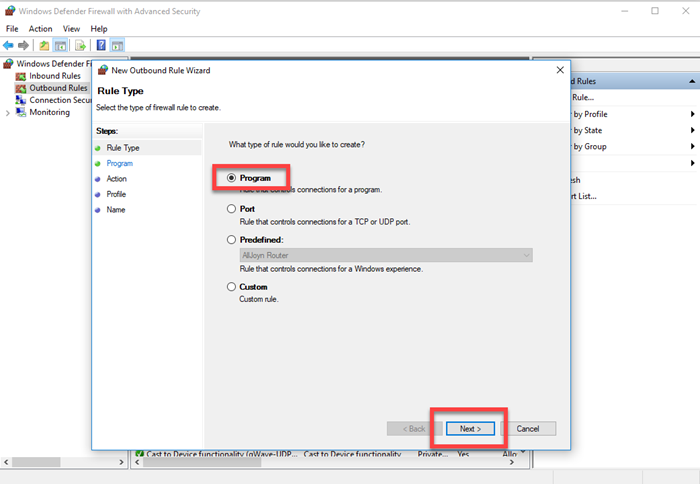 Step 12: The final step requires you to add a meaningful Name (You can name the rule same as the program name) and some Description of the rule (Description is optional). Click “Finish” to finish the wizard. Step 13: You have created a new rule now that will appear in the Name column. While the newly created rule is set to Block in the action column. Great Work! You have successfully blocked a program using Windows Firewall. 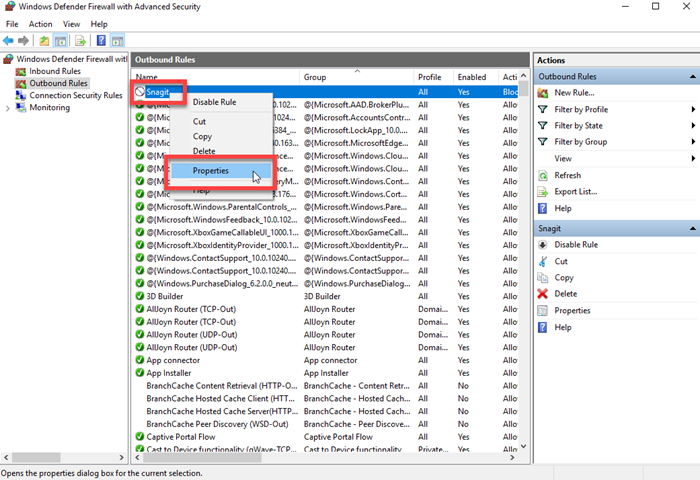 You can repeat the process to block multiple programs. 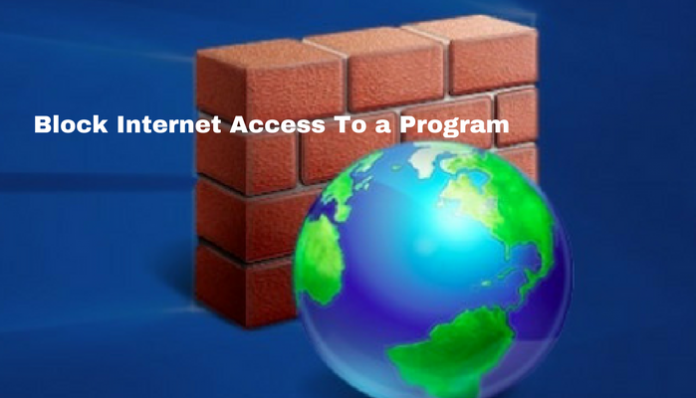 But what if you need to provide access to the program? Don’t worry its very simple just right click the rule and select Disable and you are done.